Our 3 bedroom/ 2 bathroom villa is spacious on a double size plot of land (80ft x 120ft) with a south facing pool with free solar panel heating. The villa is fully air conditioned and furnished, there are two lounges with 46’ and 32’ HDTVs, two dvd players and 100+ dvd films, hi-fi and music cds, Playstation 2 and games, books, Wi-Fi. 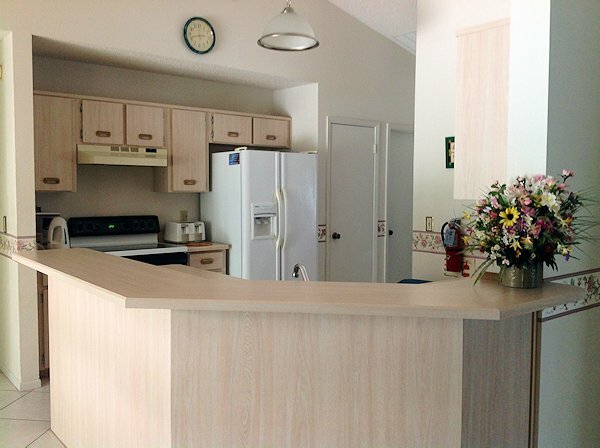 There is a breakfast dining area and separate dining room, fully equipped kitchen with cooker, microwave, fridge freezer (with filtered water and ice dispenser), dishwasher etc and laundry room with washer, dryer and ironing facilities. 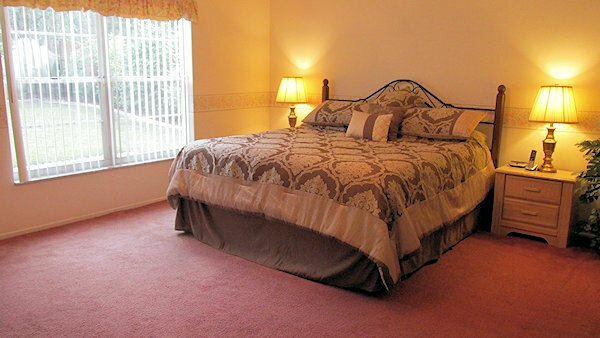 Master bedroom has a US king pillowtop bed, en-suite with shower, bath, twin vanity units, toilet, walk-in clothes closet 29’ HDTV, radio and telephone. 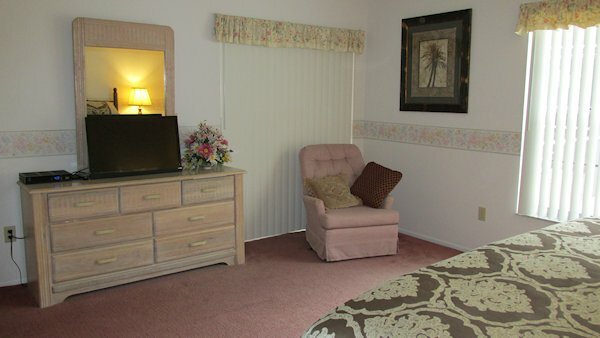 The second bedroom has a US queen pillowtop bed, third bedroom has twin beds, both bedrooms have 26’ HDTVs and radios and are located on the opposite side of the house. Two travel cots, two highchairs, two strollers, car safety seat and booster seat are provided. The house is protected with a 24/7 monitored security system, smoke/carbon monoxide detectors, security safe and the double garage has an electrically operated door. To ensure the comfort of all guests by providing an allergy free environment, animal are not allowed and smoking in the villa is prohibited. We provide directions and security access codes so you are able to go direct to the villa rather than visiting an agent on arrival in Orlando. 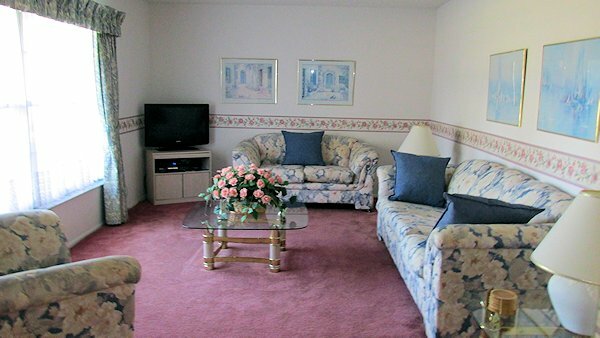 Cost includes solar pool heating, utilities, telephone calls, Wi-Fi, cleaning services on departure. Payment can be made by bank transfer, cheque/check or PayPal (subject to any fees eg cross border payment, payment protection and/or payment by credit card). "We had a terrific holiday, made all the more special by staying in your lovely villa. We loved the pool and it was a welcome relief to end the day in it! We would definitely like to come back and would love to stay in your villa again." "This was the third time we stayed in a private villa in Florida and yours was certainly the best. Everything from the amount of living space to the setting (with the screen of trees at the rear) combined with the convenience of the location, just a short drive to Walt Disney World, made it the ideal holiday home. We all had a really enjoyable stay and are already seriously considering going back there next year." "We would like to thank you for your phone call to the villa to check that everything was in order, it was so thoughtful of you. We were delighted to find the villa as lovely as the last time we visited. Everyone in our party was very happy with the accommodation. If you wish to use me as a reference to other prospective guests please feel free to do so. " 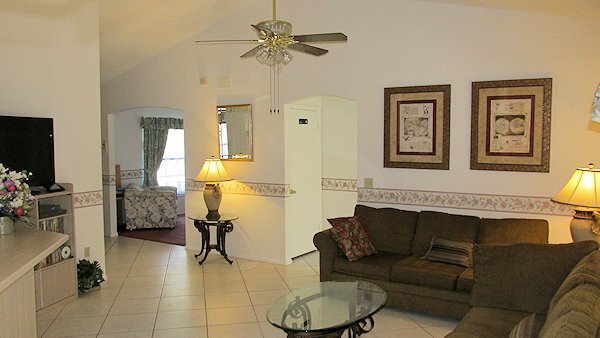 "This was our 18th visit to the Orlando area and your villa is the best we have ever rented. Rest assured we will be contacting you again with a view to further rentals. " "Beautiful property. 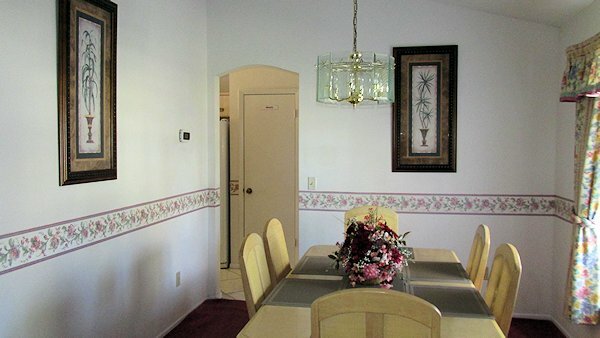 Excellent location close to everything yet in a quiet area. 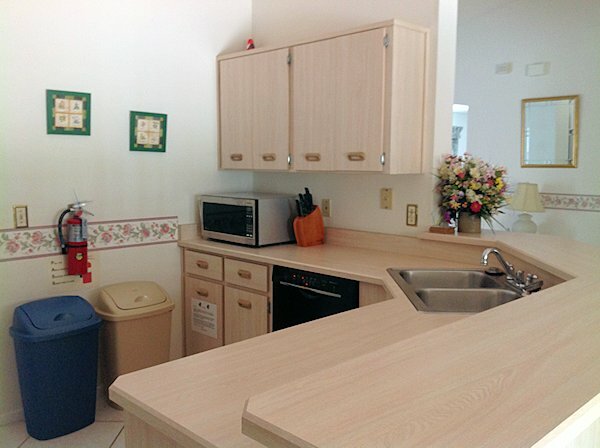 Property was extremely clean and had all the facilities and appliances you could need. Pool and garden area in the rear are beautiful and private and catch the sunlight all day long. I highly recommend this property." "Just wanted to drop you a note to let you know how much we enjoyed our stay at your villa in Orlando. Everything was very nice and we had everything we needed. My wife and I were very pleased with the whole process from completing the reservation form to your phone call checking everything was okay the first day we were there. I know who to contact the next time we make a trip to the Orlando area and will tell all our friends about your home. " "We just had to drop a line and tell you how truly wonderful your villa was. My family along with myself were overwhelmed by the comfort and location, just beautiful. Thank you so much and we look forward to our next visit with you. " 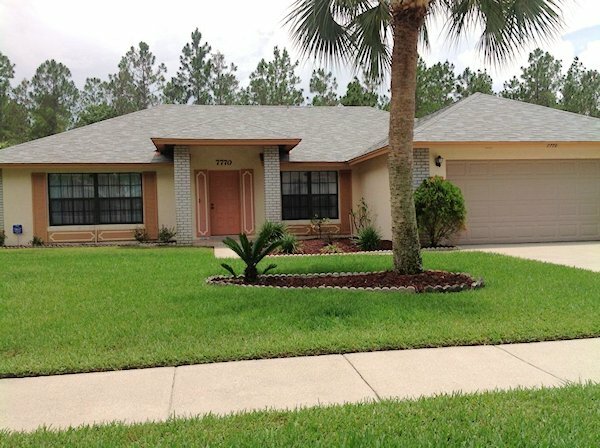 "Thank you for the use of your lovely villa for our Orlando holiday, we had a lovely time and the villa was so well situated near the parks. The kids loved the pool and the villa was so well equipped. We were exhausted after doing all the parks in the heat and humidity and have come home for a rest but it is a holiday we will never forget. I will definitely recommend your villa to my friends. " "After 3 weeks in your villa we can't wait to go back, we had complete relaxation in the villa and especially in the pool. I would like to thank you for allowing us to stay in your villa and we fully appreciated your call during our stay. We look forward to going back especially the boys. 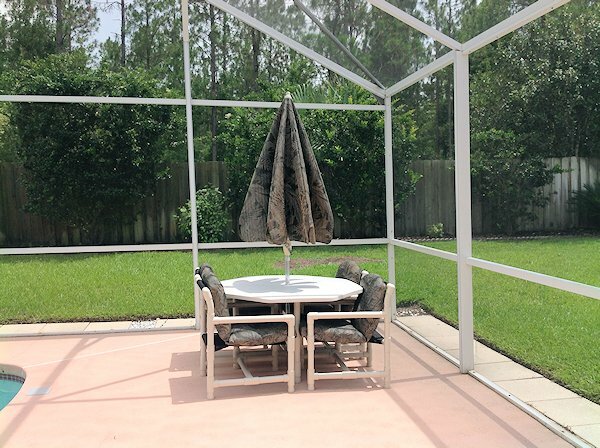 It has given us a new view to going to Florida, as this was our first time in a villa we were looking for something to relight the spark and this you managed to provide. As it was our fourth visit in recent years we needed something new other than a hotel, thankfully you provided it for us. THANKS. We wouldn't think twice about recommending your villa to anybody and will be in touch soon regarding staying in your villa again. " "Just wanted to pass on our thanks after having just finished our Orlando holiday. The villa was absolutely fantastic, even better than anticipated. Loved the kitchen and the pool was wonderful during the afternoon. We cannot thank you enough for providing such a wonderful home to stay in. I will ensure that I pass on your details to any of my friends that may be looking to holiday in the USA. Once again, many thanks. " "Just thought I would let you know how happy we all were with our holiday, especially the villa. To say that 35 minutes after getting off the plane our son was in the pool says it all about the directions etc. you provided. We all left something we loved in Florida, our son the pool, me the weather and my wife the new washer and dryer!! Also the management company was great. We would gladly recommend you to all our friends and if we ever get the chance to go again we will be in touch." Please contact us with dates and your party size for a personalised quote. Indian Ridge offers peace and relaxation in a conservation area, with a mix of both residential and rental properties. As an established resort, it offers golfers an ideal base, for easy access to the numerous world-class courses in the immediate area. Alternatively, with tennis courts, baseball and football pitches and a communal pool, there should always be something for the more energetic visitors. The US192 with its shops and restaurants is around 3 miles north and the Formosa Gardens Village shopping complex, which has a supermarket and pharmacy, walk-in medical centre, liquor store and a selection of other shops (including an ATM cash machine) is a further 3.5 miles east on highway US192. For eating out, there is a selection of restaurants and eateries, which include an Outback Steakhouse, Red Lobster, TGI Fridays, Giordan's Italian restaurant, as well as both a Chinese take-away and Japanese sushi bar. For quick snacks, there is also a Subway, Taco Bell and Dairy Queen. Wi-Fi, just bring your laptop or iPad etc. 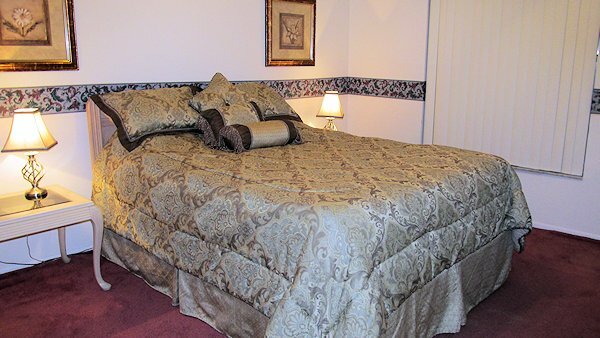 The master bedroom has a US king pillowtop bed, 29’ HDTV, clock radio, telephone, en-suite with walk-in shower, roman bath, twin vanity units, toilet and walk-in clothes closet. Second bedroom has a US queen pillowtop bed, third bedroom has twin beds, both bedrooms have 26’ HDTVs and clock radios. Second bathroom has bath/shower and toilet. Linen, towels and hairdryers are provided. Our south facing pool has all day sun and is heated by an automated solar system with seven roof mounted solar panels. Pool and well stocked garden with a forested area to the rear. The pool is fully screened and equipped with a range of upholstered poolside furniture - tables, chairs and 4 sunloungers, a lanai for shade and BBQ. All doors to the pool area are double locked and alarmed for child safety. 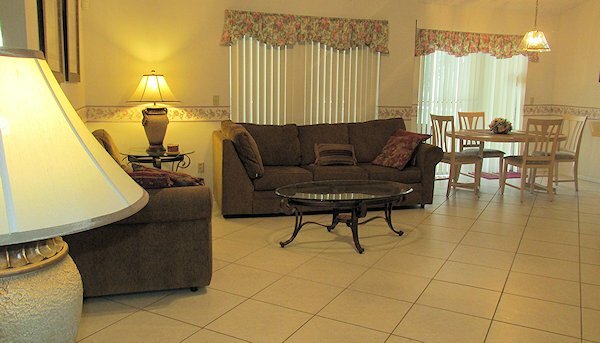 Our villa is situated in the ChampionsGate area, West Kissimmee on the countryside estate Indian Ridge just 3 miles southwest of the main entrance to Disney on US192 with easy access from I4 and 417 Central Florida Greenway. We are so close to the parks that it is easy to return to the villa for lunch or an afternoon swim then go back for the evening entertainment. Disney parks 10 minutes, Seaworld and Universal Studios/Islands of Adventure 20-25 minutes. Kennedy Space Center and St. Pete’s Beach on the Gulf Coast around 70 minutes. Restaurants and good quality food stores are only 5 minutes drive.